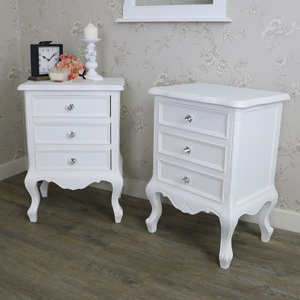 This Pair of 3 Drawer Cream Bedside Tables is from the Elise Cream Range of furniture and is stylish vintage, shabby chic style furniture storage for a bedroom, dressing room or living room. 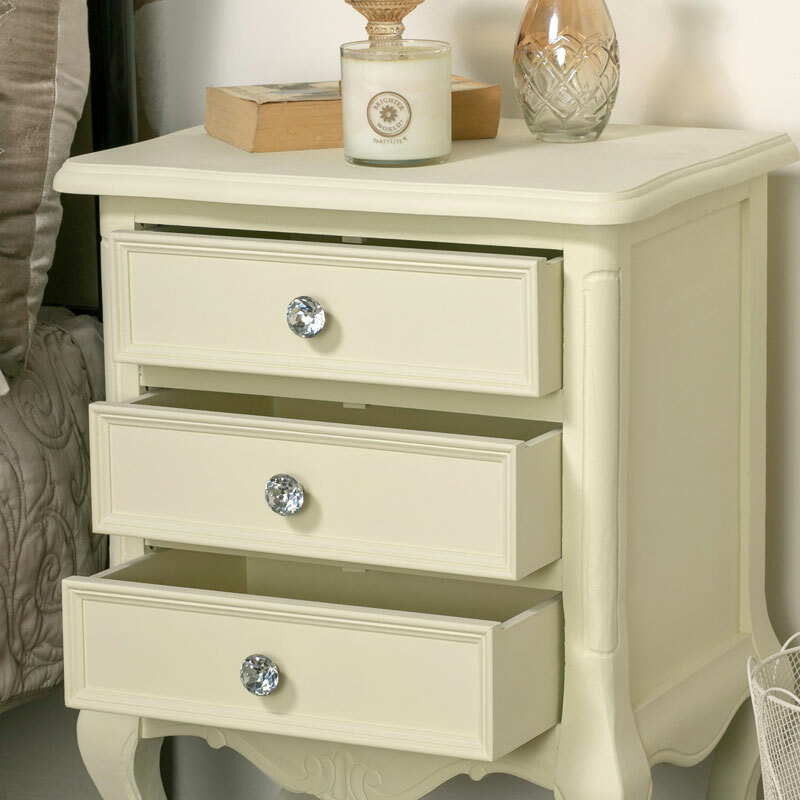 Ideal for a bedside cabinet, side table or lamp table. 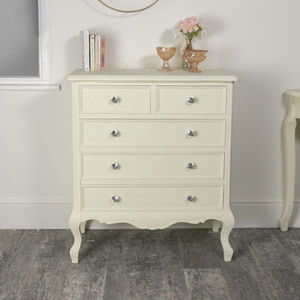 The Elise Cream Range features a broad range of matching furniture for the bedroom, living room and hallway including a gorgeous dressing table, chest of drawers and console tables. 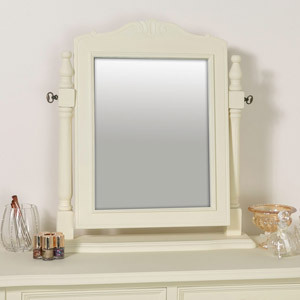 All with a stunning look that epitomises the classically French look. These bedsides each come with 3 drawers to offer the ideal storage solution for your bedroom and can be used in the set or on their own. These will also look perfectly at home in the living room. 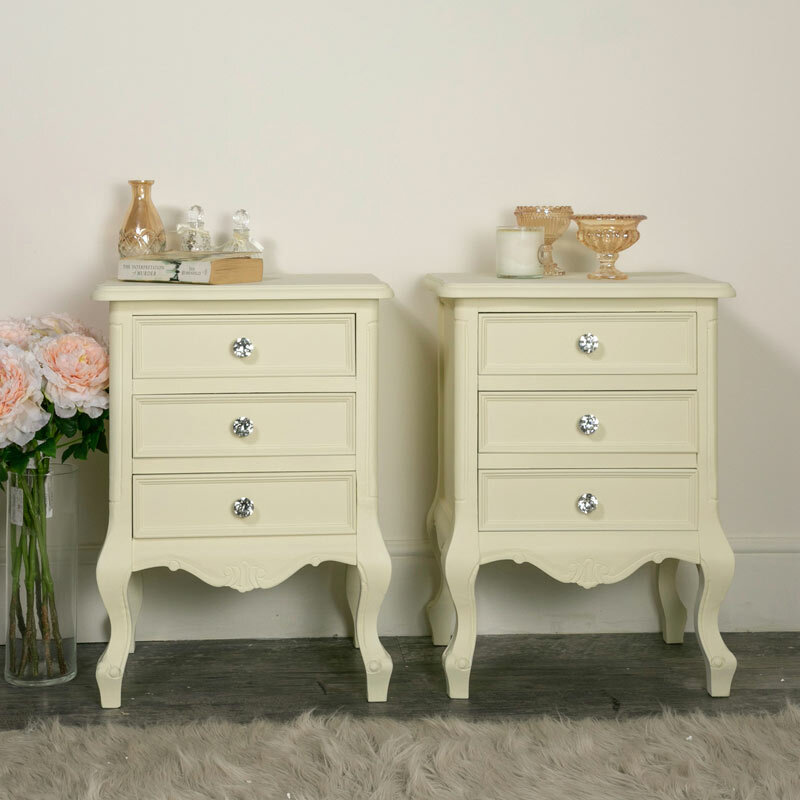 This Pair of 3 Drawer Cream Bedside Tables is from the Elise Cream Range of furniture and is stylish vintage, shabby chic style furniture storage for a bedroom, dressing room or living room. 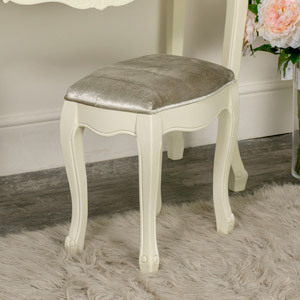 Ideal for a bedside cabinet, side table or lamp table. 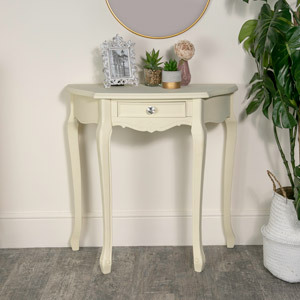 The Elise Cream Range features a broad range of matching furniture for the bedroom, living room and hallway including a gorgeous dressing table, chest of drawers and console tables. 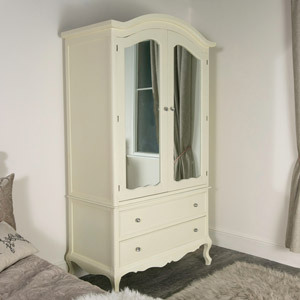 All with a stunning look that epitomises the classically French look. These bedsides each come with 3 drawers to offer the ideal storage solution for your bedroom and can be used in the set or on their own. These will also look perfectly at home in the living room. 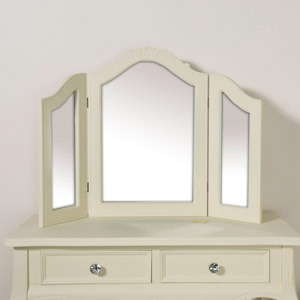 Made from wood with a cream painted finish, the bedsides come fully assembled so all you need to do is unbox and place wherever needed. 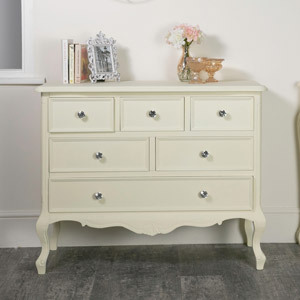 We have a fantastic choice of furniture available in our Elise Cream Range that will allow you to furnish your home just how you want.